Trading for 8yrs now and based in Hanham, Bristol - we take pride in providing a quality service from the first time you call us, through to the end of the night. We understand that every event is a once in a lifetime occasion for someone, an event that someone has invested their time and money organising and we know that it's vital that your DJ doesn't let you down. We're invested in ensuring that your event runs perfectly and will be an event that you and your guests will remember for all the right reasons. Required by many venues, Bristol Disco Hire has a current PLI policy with National Association of Disc Jockeys in the amount of £10 million. Also required by many venues, Bristol Disco Hire has supplied satisfactory evidence of holding current PAT inspections of their equipment dated within the last 12 months. A Method Statement outlining Bristol Disco Hire&apos;s Health & Safety procedure for setting up disco equipment has been provided. 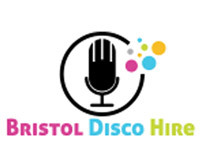 Bristol Disco Hire has provided Risk Assessments undertaken at events sourced via needadisco.com, indicating that they can undertake these competently. 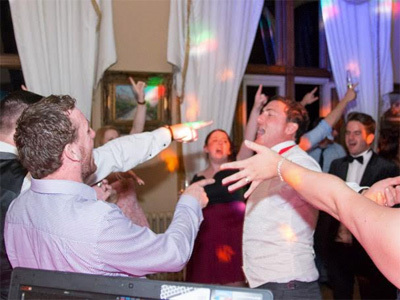 Why do people choose to book Bristol Disco Hire? Emails and communication have been brilliant and we look forward to using his service on 8th December. best option with what we wanted with. "Great music made a great event. Juillian read the crowd well and chose songs which got everyone up and dancing. Thank so much!" "I'm really glad I could be part of your birthday Celebrations :)"
"Julian helped create an amazing night, the sound was perfect and the selection of music ensured that the dance floor was always full. I cannot recommend this disco highly enough, so if you are looking for a great night with a great atmosphere then this is the disco for you. The pre-event contact was brilliant and the ability to share all our needs meant that we didn't have to worry about anything on the night, all the songs we had requested were played and great night was had by all. Thank you!!" "Thank you for your feedback, I'm glad I helped make your night a success :)"
"Great service provided by Julian, would definitely recommend!" "Many thanks, always a pleasure :)"
"Julian was excellent and ensured all of the students had a memorable night with perfect music choices and a brilliant atmosphere. An online page allowing students to request songs during the lead up to our Summer Ball meant that every person had the opportunity to sing and dance along to music they knew and loved. Julian was friendly and really helpful, meaning I didn't have to worry at all about the music or lights and could instead just enjoy the night. A personal highlight had to be seeing everyone from my yeargroup singing along to 'Mr Brightside' together for one last time (it's a bit of a tradition) with Julian adjusting the volume for parts of the chorus so that it really felt like our school family were all singing together- it was exactly the sort of vibe we were hoping for. We had such a beautiful night and Julian took some amazing pictures of the venue and some hilarious action shots of the sixth form boys doing the Macarena! 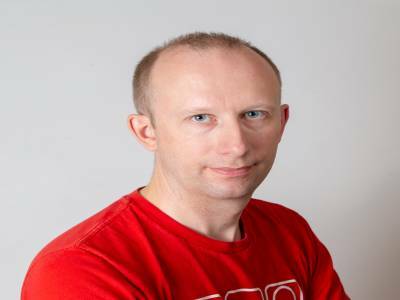 I've had only positive feedback from our yeargroup, who would like to say a huge thanks to Julian for making our final ever prom such a great night, we would highly recommend his outstanding work with Bristol Disco Hire." "Thank you so much for your feedback and for booking with me :)"
"Amazing dj was great with the kids and adults to. 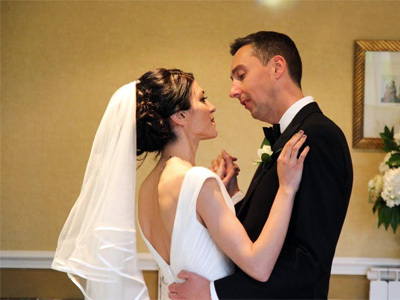 I will definitely use again thanks so much for making the day perfect." "Thank you for booking with me, the kids were a lot of fun :)"
"Excellent service from start to finish. I would not hesitate to recommend Bristol Disco Hire. " "Thank you very much for your feedback :)"
"It was perfect! We loved the games too. Thank you Julian x"
"Thank you very much for taking time to leave feedback, I really appreciate it and I'm glad you had a great night :)"
"Absolutely fantastic DJ couldn\'t have wished for better. From the minute we booked Julian he communicated professionally and answered any questions we had. Everyone commented on how brilliant he was I would most definitely recommend him to anyone!! If you need a DJ Julian is your guy!!! Thanks again you made are night special!" "Thank you again for using my services, it was an absolute pleasure to be part of your wedding celebrations :)"
"Excellent dj and disco, played wide range of music for all ages. Very professional and helpful. Would definately recommend." "It was an absolute pleasure to entertain you and your guests. If I can be of any help, please just get in touch." "Really helpful in steering me to make up my play list. Took time to meet with me and get to know me as a person and to understand my requirements. The evening was completely tailor-made for me and my guests. Atmosphere was great. DJ not intrusive in any way. Everything worked seamlessly. Julian was willing to be flexible and adaptable on the night. Music was at perfect volume for each section of the evening...and perfect for the guests and the venue. Julian is willing to cater for an older age group...much appreciated. Everyone had a fantastic time and the disco could not have been better! Great value. Charming and competent DJ. Cannot recommend highly enough." "Brilliant DJ, amazing night, hassle free and excellent communication throughout booking and at the event"
"Thank you for the great feedback, Im really glad you had a good night :)"
Bristol Disco Hire also offers a range of additional party services not directly linked to musical entertainment. If you are contacting Bristol Disco Hire about an event, it's always a good idea to include the DATE, LOCATION, EVENT TYPE, AGE GROUP and TIMINGS to speed things up!